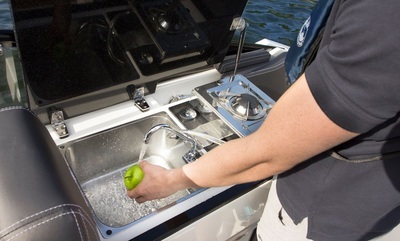 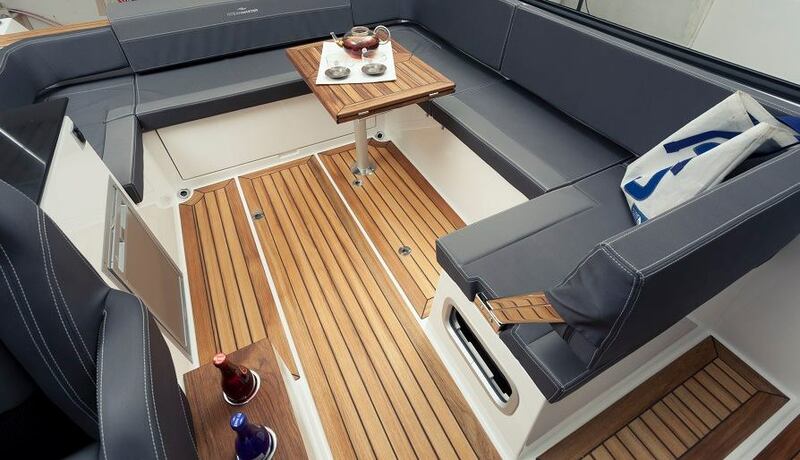 The new Oceanmaster 720DC offers considerable deck space with built in wet bar incorporating sink, fridge and stove. 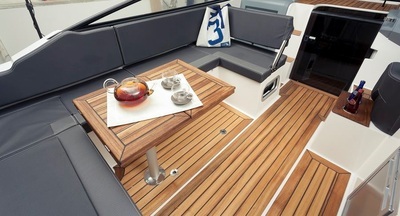 Crescent shaped aft seating converts to large sundeck with extendable picnic table and seating for 6+. 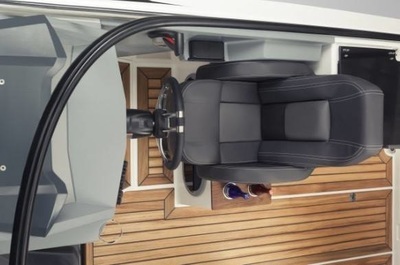 The cabin offers comfortable double berth with separate heads, large storage lockers and additional aft underdeck storage / extra berth. 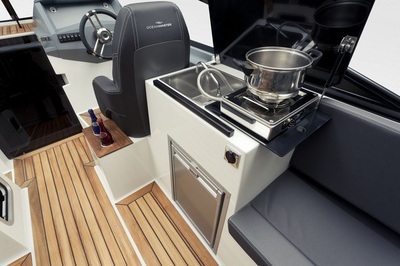 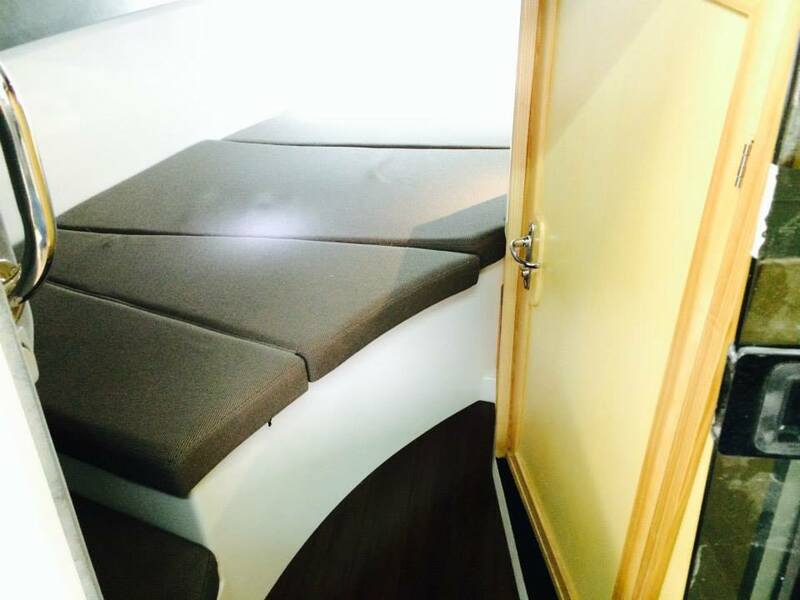 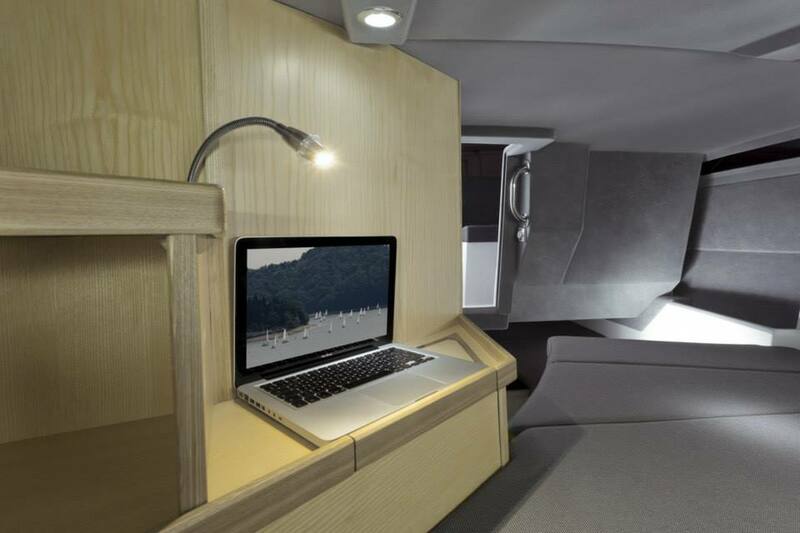 Her built in windows and double deck hatches flood the cabin with light for a pleasant roomy feeling. 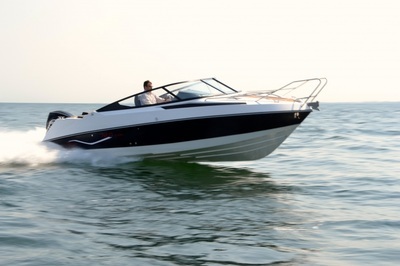 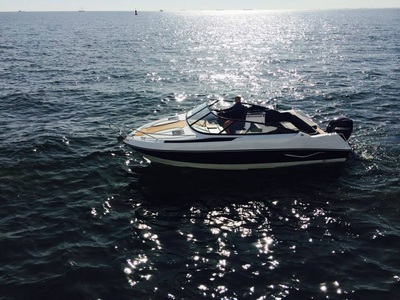 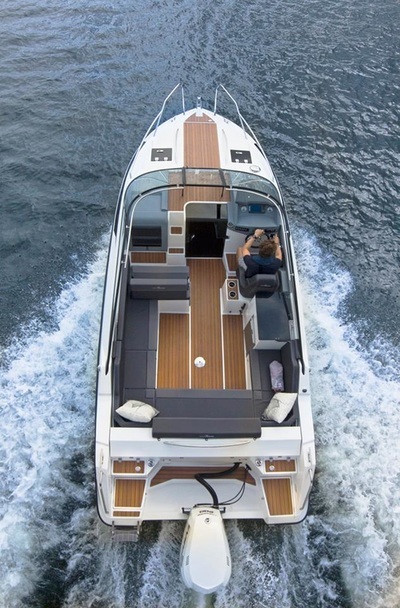 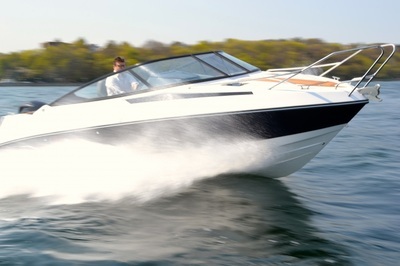 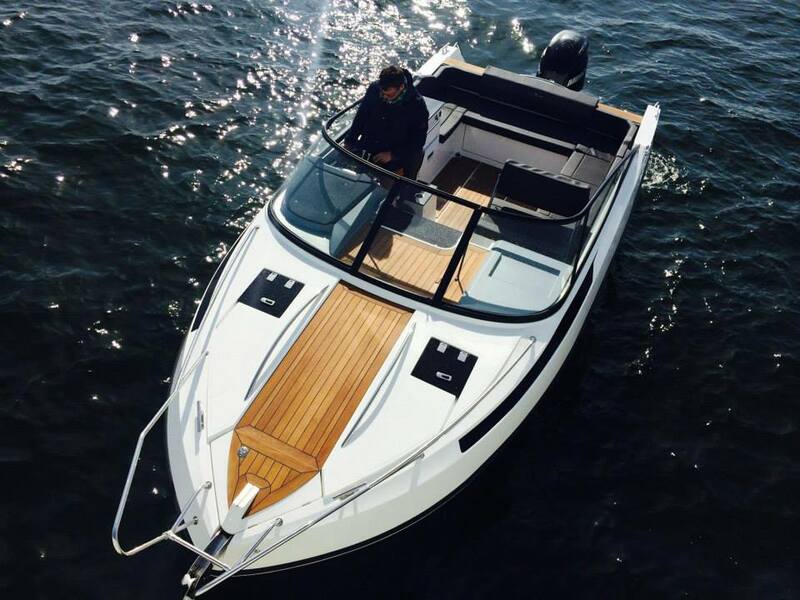 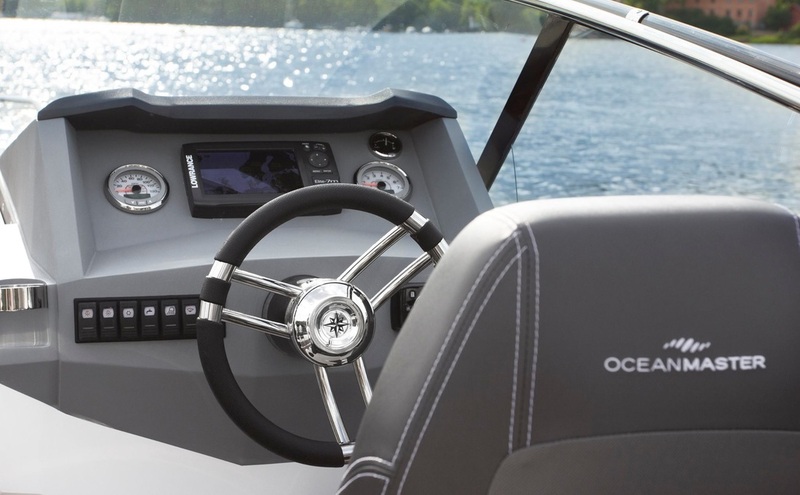 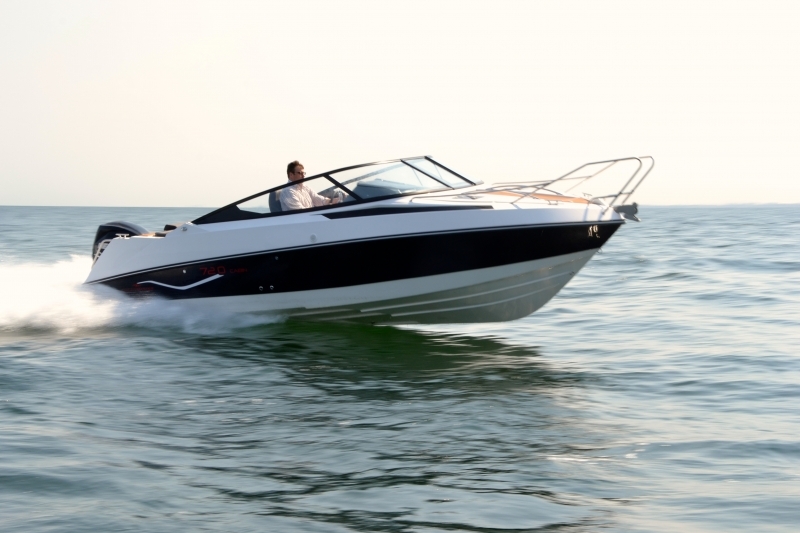 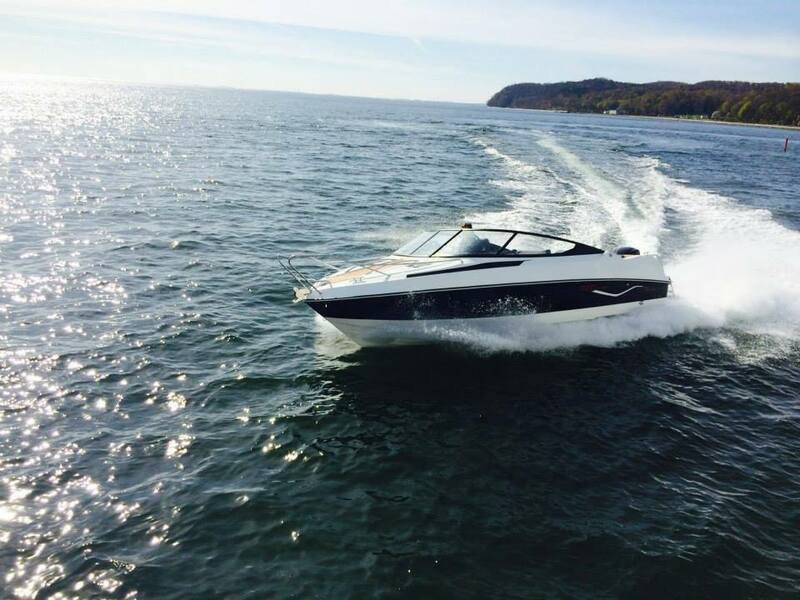 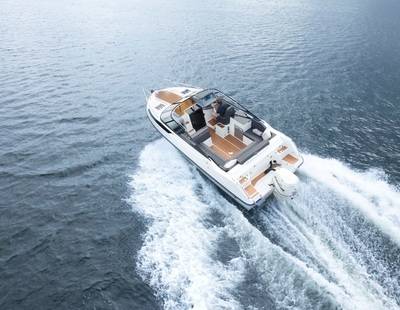 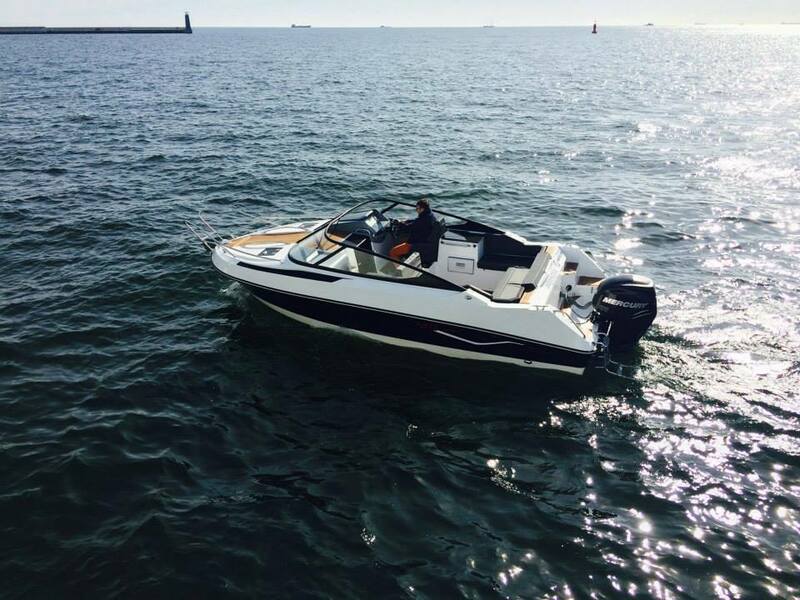 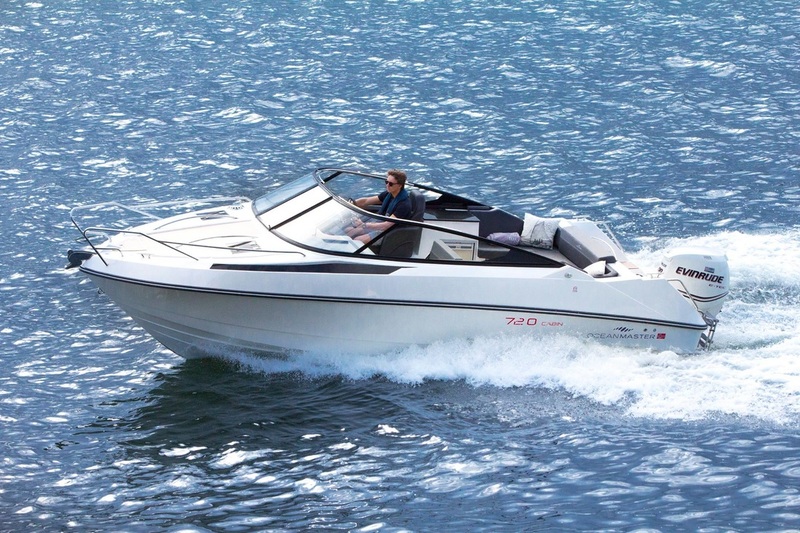 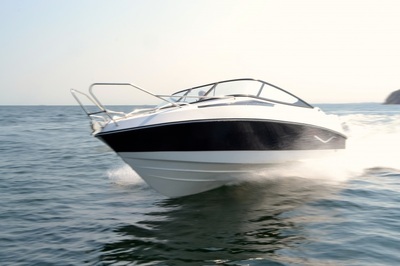 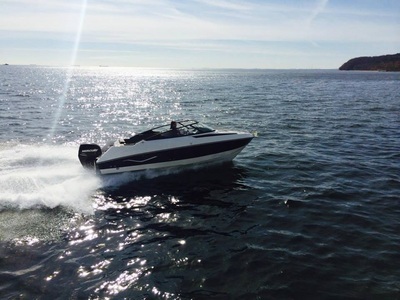 She features a double stepped ventilated hull with power options, single or twin up to a total of 300HP giving exciting performance and economical cruising figures. 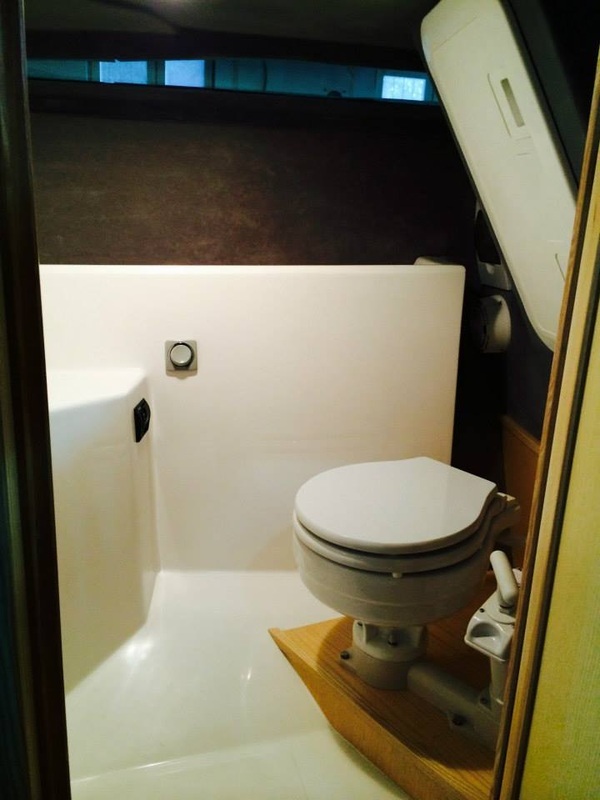 Optional full camper cover gives all weather cruising / additional summer berths if needed. 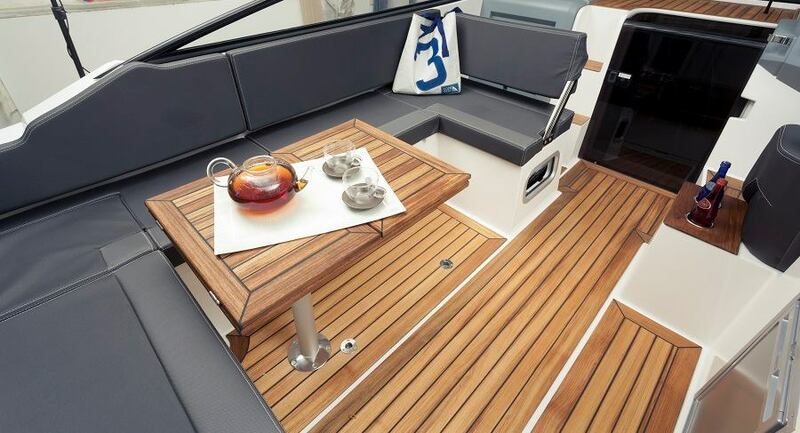 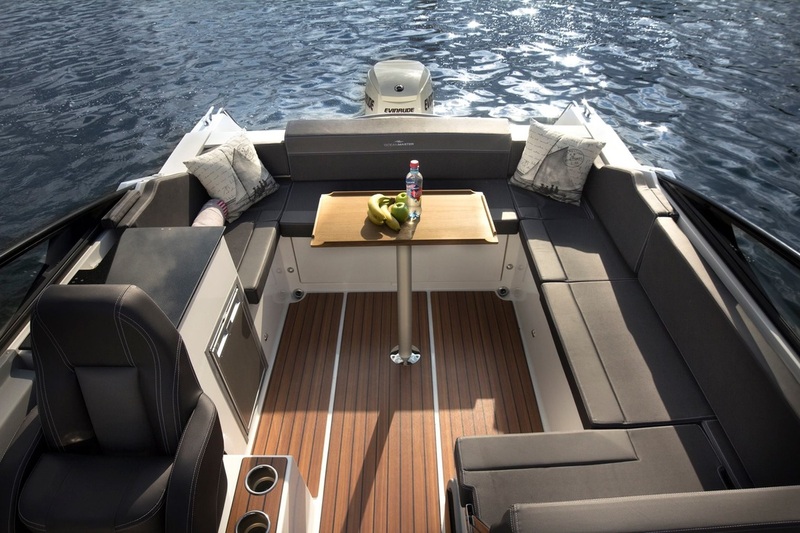 Her 9.3ft beam affords those on-board space to relax and enjoy days out with family and friends. A perfect coastal boat for water sports, picnics, relaxing at anchor or more challenging offshore adventures.